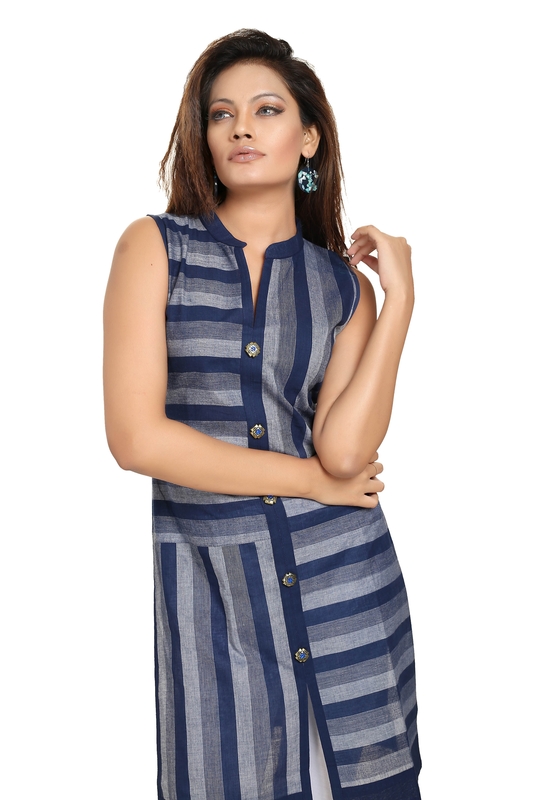 For stripes are the ultimate style statement for the season, allow Snehal Creation to bring you this ultra-chic Crazy About Cotton Ink Blue Designer Tunic and be a part of your style closet. This ban collared, sleeveless designer tunic is tailored in a style that shirts carry. 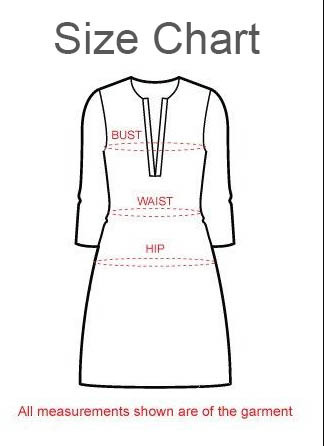 Front open and buttoned, this tunic looks best when worn with a jeans.